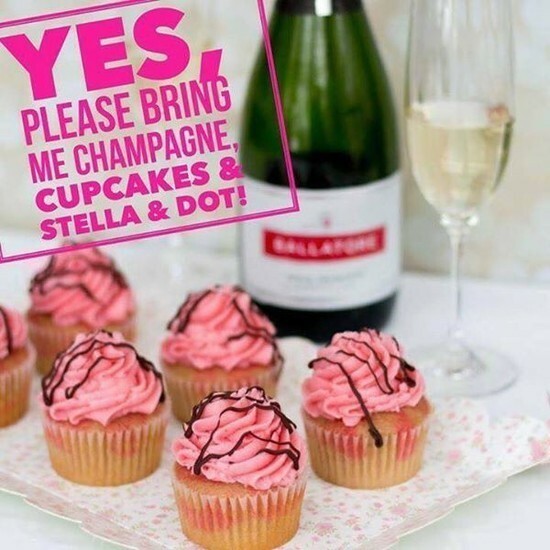 Win a Champagne & Cupcakes Happy Hour! What can you win? check out below! Hello my fabulous customers and hostesses! It's time for FRI-YAY! I love fall girls' nights and what can be better than Cupcakes & Champagne and some holiday style and shopping with friends?!?! 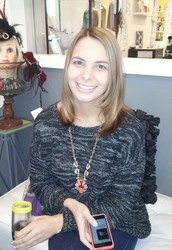 Oh, and did I mention the free sparkly jewelry for YOU!? I will arrive with the cupcakes & champagne, lots of style and tons of fun for your friends! Respond to this email within 48 hours and you'll be entered to win a Catered Trunk Show! I'll pick three winners by Monday! So...what exactly would you win? 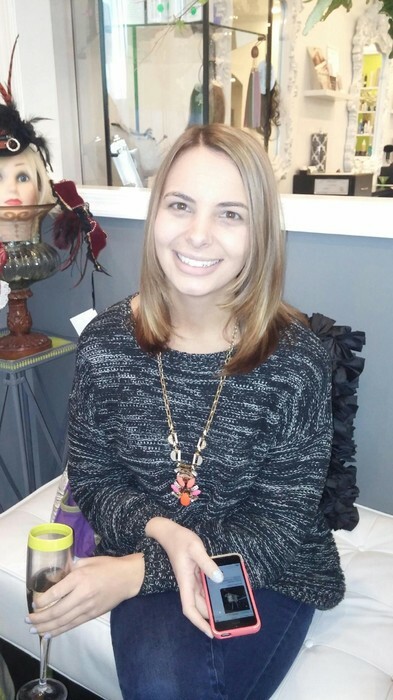 A catered trunk show for December! 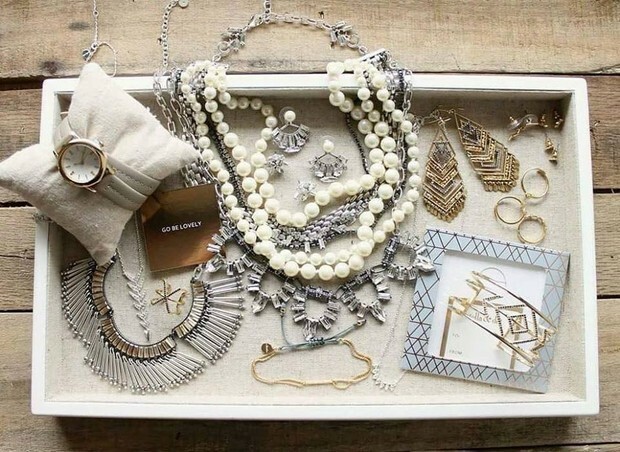 A catered trunk show is when I bring a fun party to your home/office. I'll take care of the invitations (electronic or paper - or both), provide the cupcakes & champagne, and bring all the fabulous jewels and bags. All you provide is a place for me to set up and some friends (who could use a little girl time)! 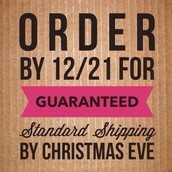 Trust me, your friends will thank you for providing the BEST VENUE EVER for holiday time shopping! 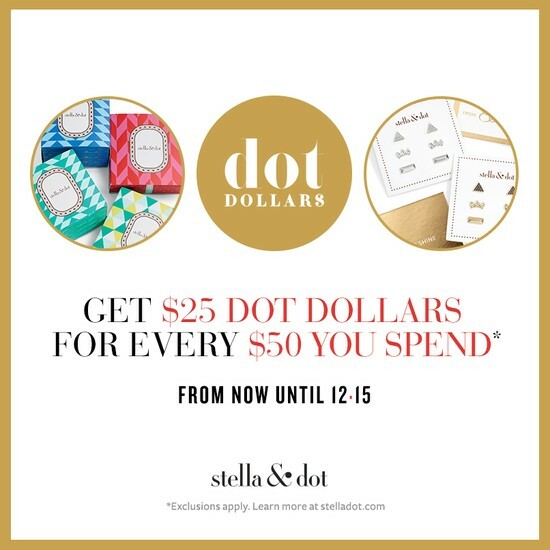 You also get the perk of tons of free accessories of your choice & shopping at 50% off! PICK YOUR DATE - PICK YOUR PARTY! 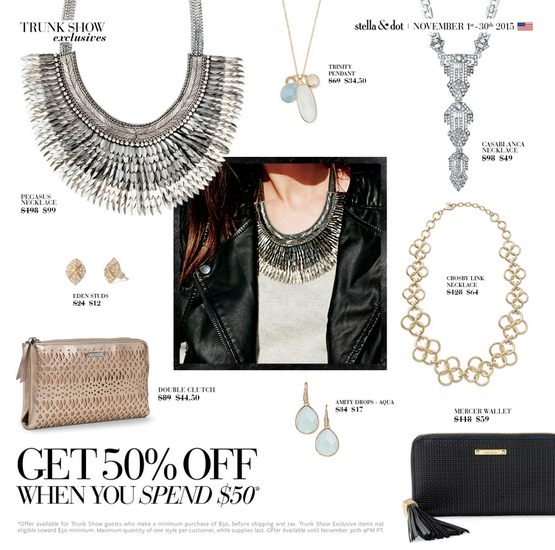 Spend $50 this November in a trunk show and you can shop all the items above for 50% OFF! 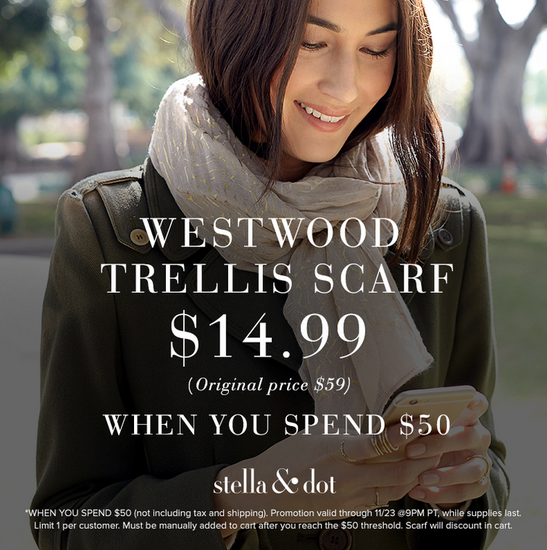 PLUS when you spend $50, you will also get the gorgeous Westwood Trellis Scarf for only $14.99 AND you'll earn $25 Dot Dollars!! 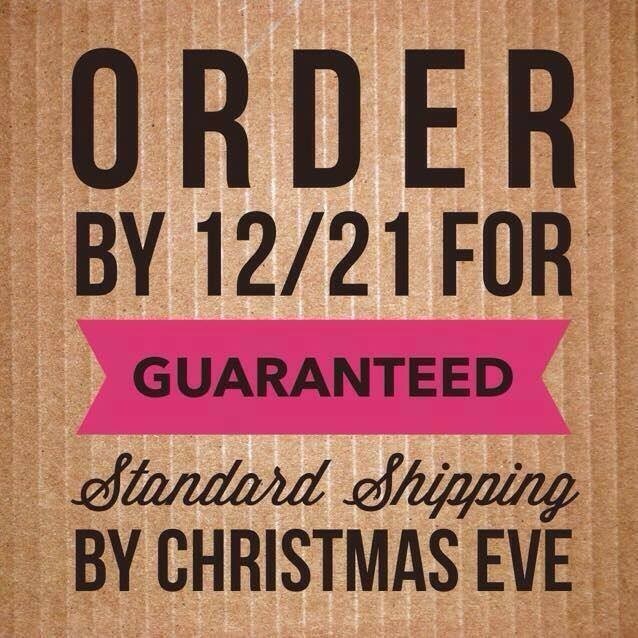 Why not pick up a gift for someone else, and a little treat for yourself :)! EMAIL ME NOW TO WIN YOUR DECEMBER CATERED HOLIDAY TRUNK SHOW!